Founded in 1997, the Boston-based Walden Chamber Players has garnered a reputation for being one of the most exciting and versatile chamber groups performing today. Critics have hailed its performances of everything from Bach to Schoenberg, and Chamber Music America Magazine raves: “A season spent with the Walden Chamber Players is a time for discovery." The success of its performances, recordings and educational curricula has earned it a place as one of the most sought-after chamber ensembles in the United States. Walden Chamber Players is comprised of twelve dynamic artists in various combinations of string, piano, and wind ensembles. The wide variety of instrumental groupings possible with this ensemble allows for great versatility and eclectic programming, a hallmark of the Walden Chamber Players. Members of the ensemble are versatile chamber artists and soloists who often perform at leading festivals throughout the United States and abroad. 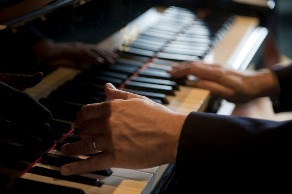 They are also sought-after teachers and lecturers and serve on the faculty of some of the country’s premier musical teaching institutions, such as the New England Conservatory of Music, University of Texas - Austin, Boston University, University of Maryland, the Boston Conservatory, Manhattan School of Music and the Juilliard School. Walden presents a new concept of a classical concert both in content and presentation. Drawing from a rich palette of sources and styles, it mixes and matches the works of both classical and contemporary composers with an eye to new understandings and discoveries. Concerts often feature the use of multi-media and dialogue, giving the audience a broader appreciation of a certain time period and enabling the listener to make a connection between the artist, the creative process and society at-large–often mutually influencing forces–thereby creating a richer context. The Walden Chamber Players is recognized for its strong advocacy of new music by composers such as Augusta Read Thomas, Alvin Singleton, Pierre Jalbert, Stephen Paulus, Gerhard Schedl, and Kaja Saariaho, among others. The ensemble has an ongoing commitment to commissioning, performing and recording new music. 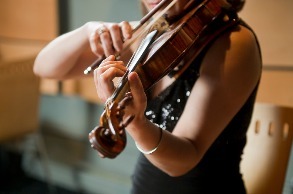 Walden Chamber Players also believes strongly in presenting unique educational curricula in a format that highlights the belief that music is the human experience translated into sound. The popularity of its educational programs has led to the development of several long-term residencies and partnerships at schools and universities across the country. We’ve traveled a long way from our humble beginnings performing in the towns surrounding Walden Pond, both figuratively and literally! Our concerts have taken us from California to Maine, Canada to Texas and many places in between. We’ve enjoyed every opportunity to meet new audiences, music-lovers, presenters, and collaborators along the way and look forward to our next adventures! Part of our mission to encourage chamber music as “a living art form” is seeking out the opportunity to work with living composers. We have been very lucky to collaborate with some wonderful composers, commissioning and premiering works for unique instrumentations. 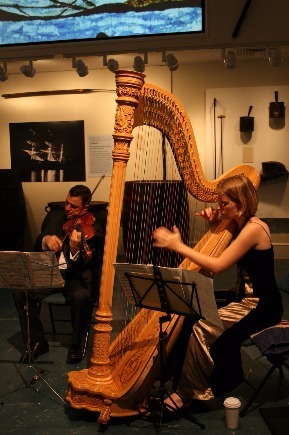 Founded in 1997, the Boston based Walden Chamber Players is a versatile chamber music ensemble of outstanding musicians dedicated to artistic excellence in performance and education. The mission of the Walden chamber Players is to communicate the importance of the music as an integral facet of a rich civic life through distinctive and adventurous programming. Walden is committed to the commissioning of new works and collaboration with community partners nationwide. The ensemble perpetuates chamber music as a living art form by presenting dynamic performances designed to actively engage the audience. 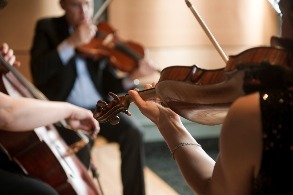 It develops a spectrum of educational projects including long-term in-depth programs, which provide students opportunities to collaborate with professional musicians.